All Glass & Glazing is proud to offer comprehensive glass product manufacturing services, alongside our standard property improvement solutions. Covering all domestic and commercial needs across Alderley Edge and the North West, we’ll stop at nothing to further our reputation as Alderley Edge's number-one glass manufacturer. We are committed to bringing small-business values together with big-brand performance. As experienced double glazing suppliers Alderley Edge, we’re able to go about the manufacture and installation of a wide variety of custom products for both residential and commercial properties alike. Whatever it takes to get the job done flawlessly and for the right price, you can count on All Glass & Glazing. 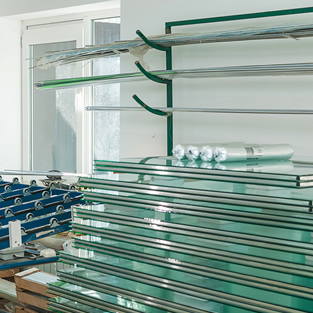 As Alderley Edge's most capable toughened glass suppliers, we’re just the team to call where enhanced safety and security are important priorities. As trusted double glazing glass suppliers to trade and public customers alike, outstanding quality and unrivalled value for money can be expected as standard. Custom orders represent a key specialism here at All Glass & Glazing, so be sure to give the team a call if you can’t find exactly what you’re looking for.